Flat Jesus made trips this week to the County Library bounce house with the Willocks, hung out with nine kids at FDP’s Parents’ Night Out while their parents had an evening off, AND went to Ireland with Sam Stout! View pictures here. 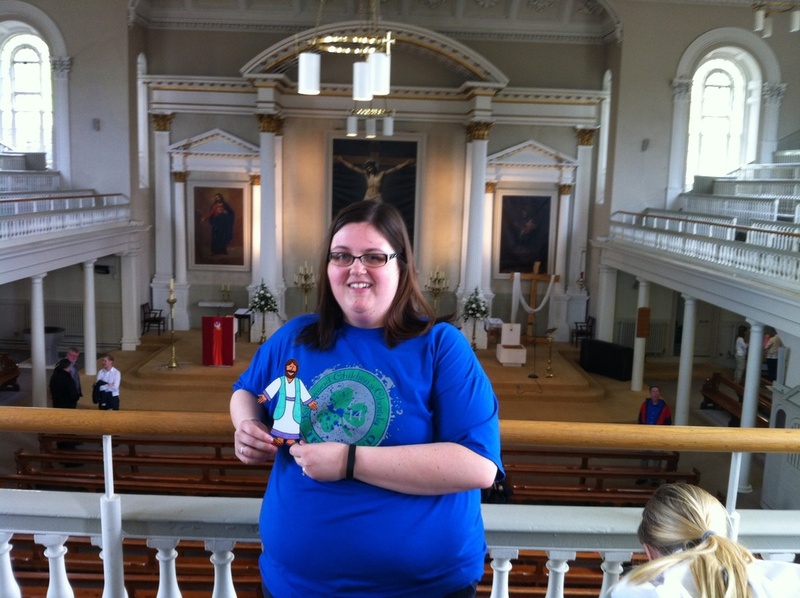 Keep Flat Jesus with you – in your purse, in your car, in a backpack – to remind you that Jesus is with you everywhere! Please send in your photos of you with Flat Jesus so we can post them and add them to the GS bulletin board.